AVI, Audio Video Interleave, is a commonly-used multimedia container format in our daily life. However, its compression standard is so different that often causes incompatible issues, especially when you play AVI video files on the newly intalled Windows 10 system. How to troubleshot the problem and play AVI video without any hassle? In this article, 3 workable solutions would be introduced to help you play AVI files on Windows 10 smoothly and successfully. If you still can't find a good player for playing AVI on Windows 10 computer, you can convert the video to a compatible video format with the built-in video player, Windows Media Player, to have an enjoyment. Wondershare AVI Converter is a great video converter and player for both Windows and Mac computer. You can take full advantage of the program to get the work done. The following guide will show you how to convert AVI video for playback on Windows 10 computer. 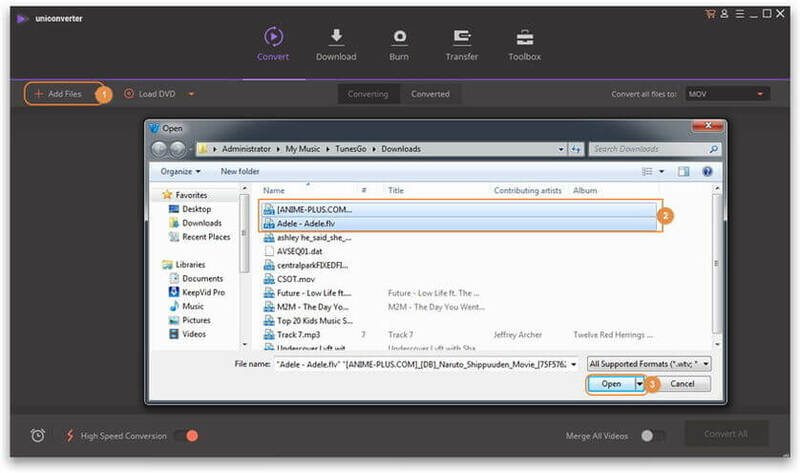 Convert AVI video to WMV, MP4, FLV, MKV, MOV and other 1000+ formats. Play AVI, MP4, MOV, etc. formats with built-in player. Download and install Wondershare AVI Converter on your computer via the download button above, then start it. Then click + Add Files button or simply drag and drop the AVI video from your computer to the program window. Click from the Target section, then a drop-down list will appear with tabs of Recently, Video, Audio and Devie. To convert AVI to WMV, which is friendly to Windows Media Player, just go to Video > WMV and select a resolution in the right. 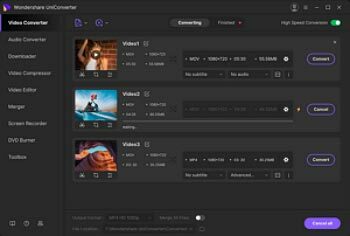 Tips: If you want to batch converting AVI videos, you can click beside Convert all files to: to choose the target output format for the multiple AVI videos. 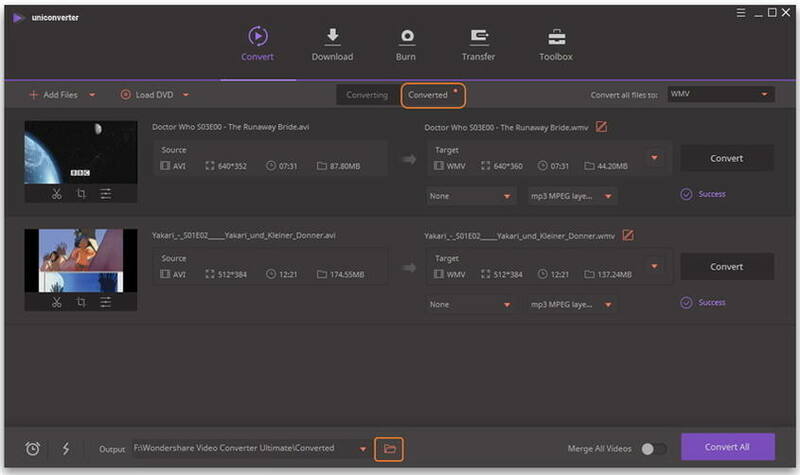 Click the Convert or Convert All button to start converting AVI video to WMV or other selected video file type. When the conversion finishes, you can either switch to Converted tab or click the folder-like icon in the bottom to get the converted AVI videos in .wmv format. After locating the video on your computer, you can open it with the video player on your Windows 10 computer for the enjoyment. K-Lite Codec Pack is a collection of codecs and related tools, designed as a user-friendly solution for playing all your movie files. With the K-Lite Codec Pack you should be able to play 99% of all the movies that you download from the Internet. Compared to other codec packs, it has below advantages. If you're not persist in Windows default media player, actually, there're many other amazing video player available for playing AVI videos. Here we collect 2 alternatives that worth mentioning below. 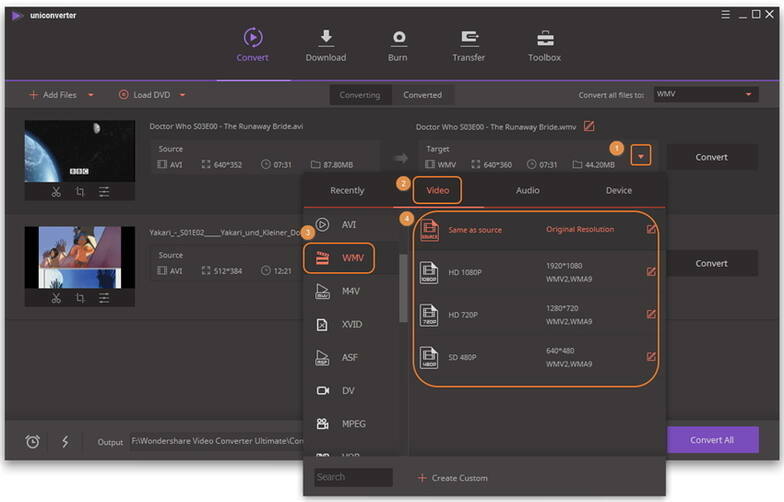 Just as recommended in Part 1, Wondershare AVI Converter also functions as an omnipotent player that plays any video and audio formats. It's so user-friendly that all you need is to load your favorite AVI video to the player, click the play icon in the middle of just imported video thumbnail and that's it! 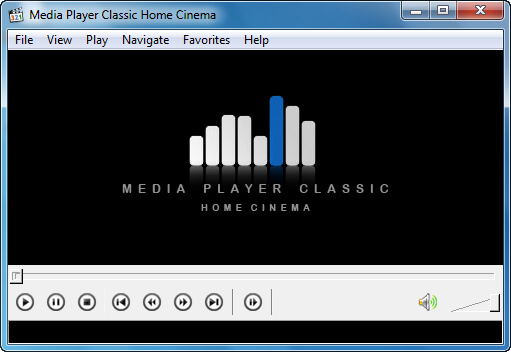 VLC Media Player is the most popular media player available for all people. 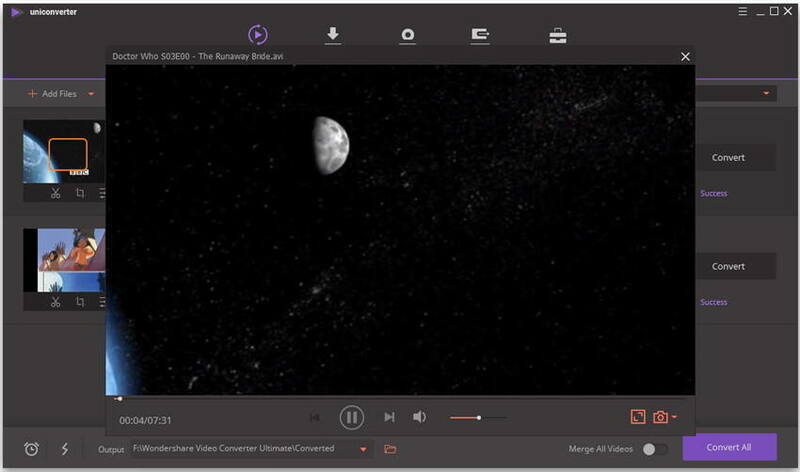 It's simple, fast and powerful media player. With this video player program, you will not worry about the format. 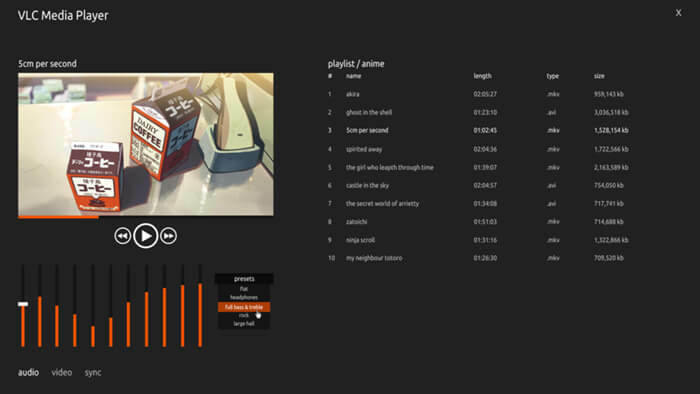 A highly-portable, customizable free media player. Cross-platform: Windows XP/Vista/7/8, Mac OS X, Linux, iOS, etc. Support tons of formats: AVI, MOV, FLV, 3GP, MPG, avchd, and more. Torrent movies and streaming videos over the internet are also included. Packet-based structure: due to this special feature, it's able to play damaged, incomplete, or unfinished video files. This is especially useful when you want to play the video while still downloading. Both the free AVI player for Windows 10 and video converter program can help you to get the work done easily. Check it out if you are interested in them.